Colorado Department of Transportation is asking all its drivers to imagine 3 million cars generating 2 million data points every hour on roadways across the state. At the Colorado Governor’s Tourism Conference in Vail on Wednesday, October 31, a luncheon session featured a discussion about CDOT’s Internet of the Roads project, currently underway, which uses technology to improve safety and mobility on the state’s roadways for both Coloradans and those who visit the state. Wes Mauer, branch manager for CDOT’s Intelligent Transportation Systems said that at Colorado Department of Transportation, they feel they are felicitators. Everyone starts with getting from Point A to Point B.
CDOT’s project is the biggest of its kind in the United States, aspiring to connect roadways with emerging technology. The goal is to create a real-time data center with technology in cars and at points across the roads. With a 45 percent increase in fatal crashes in the past six years and 122 percent projected increase in traffic delays by 2040, CDOT is currently building an infrastructure that spans 1,500 miles in Colorado over the next three to five years, starting with a corridor that includes Vail. The cost of the technological infrastructure is the equivalent to building 5 miles of roadway, Maurer said. 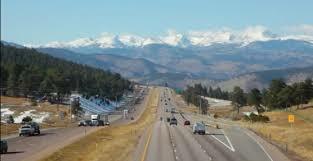 CDOT is already equipping its fleet of vehicles with the technology, a collection of thousands of vehicles. Panasonic works with car companies and is striving to get several million vehicles on the road by 2020 featuring the technology. While CDOT is building this network for Colorado, the technology will be able to be shared and adapted to other locations. The technology will be broken into two categories. The non-signalized corridors — high-speed, high-capacity interstates — will help with things such as showing road conditions and sharing crash notifications. The signalized corridors are more metro, city areas and the technology will have the ability to broadcast to vehicles when traffic lights are going to flip and help emergency vehicles navigate, among other things. CDOT is preparing the technology for both human drivers and autonomous cars.